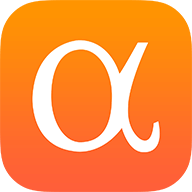 My most useful article for Seeking Alpha – personal opinion – was this one published on March 20, 2017. It provided a simple model and a not so simple model for deploying cash during corrections. The idea was to have a firm but slightly flexible plan and to help provide an investor with the necessary steel to take action amidst market chaos. I happened to write the article while eating a messy Jimmy John’s sandwich. That sandwich served as the governing metaphor for the messiness of action taken while trying to take the right action. Military training is another good metaphor. Regular drill was developed in the 18th century to get soldiers to do what they needed to do routinely even in the midst of chaos and fear. The secret to investing is to have a plan and stick to it. If this approach interests you, you may wish to go back and read that earlier piece. It was written for SA readers to suggest a sort of drill. We are now in the middle of a firefight, and we have only sketchy ideas of what we are up against and what is happening on our flanks. What this article is going to do is present a brief outline for the plan I use for myself and explain how I have implemented it so far. The one thing we know with certainty is that a correction is coming. What we don’t know is when it is coming. It may come in May. It may come in September. It may have started a couple of weeks ago. It may not come until 2018. Success in predicting the arrival of corrections is pretty much random, which means somebody will have gotten it right after the fact, but who? … So we don’t know when the next correction is coming, or whether we are already in it. We have no idea why the next correction will happen. We certainly have no idea of the proximate cause – maybe a butterfly beating its wings funny in New Zealand. We have no idea how big the drawdown will prove to be. This unknown is important, and requires careful attention in making a plan. We don’t know if the next drawdown will be associated with a recession or with some sort of unexpected shock, or if it will just be a correction in price and valuation. The 1987 Crash did not come with either a shock or a recession. There were investigations, mostly centered on “portfolio insurance,” but then-president Reagan probably nailed it in real time, saying “Maybe prices were too high.” The similar Crash of 1929 was followed by the worst decade in U.S. economic and market history. We do know a few things that don’t help as much as we think. We know that 10% corrections happen all the time, about one a year, but corrections of 30% or more happen only once, sometimes twice, per decade. The trouble is that every 30% correction starts as a 10% correction. When the market reaches a 10% decline, we can’t know for sure which we are dealing with. Accepting the things that we do not know and the limited value of the things we do know is the beginning of wisdom. It’s the basic starting point in constructing a plan of action. That’s how I saw it then. That’s how I see it now. The difference is that as of Christmas Eve, we got close enough in the S&P 500 to call it a 20% correction. In media language that’s a bear market. We are now surrounded by the clamor and confusion of a firefight. It’s time for the preparation to kick in. Put a clip into your M16 and be sure that it clicks in firmly. Get a good spot weld on your right cheek. Take a deep breath and let half of it out. Pick a target and squeeze, don’t jerk, the trigger. If you have practiced it, it’s automatic. The best plans for buying market drawdowns work that way. The decision is taken out of your shaky hands. It’s automatic. After describing a couple of basic plans, I’ll explain what I did. The simplest approach to buying dips is the oldest one: simply rebalance your portfolio at intervals. The presumption is that you have a set target allocation for stocks which you intend to keep in place over a fairly long period, such as, perhaps, a decade. The only real task is deciding what the interval should be. It might be once or twice a year, or perhaps quarterly. This approach won’t shoot the lights out, but it is likely to improve your risk-adjusted returns over a full market cycle. Vanguard may even do the rebalancing for you. For those who sometimes hold quite a bit of cash reserved for future investment – as I have done in recent years – you will need to make the adjustments yourself. The simplest approach may be to deploy cash mechanically as a decline hits certain predetermined levels. Small corrections (5 or 10%) happen frequently, and I rarely buy a dip of that scale. I remind myself that if I was content with my allocation when the market was 10% lower, then I have no reason to raise it after a 10% decline. It is harder to ignore a decline that meets the criterion for a cyclical bear market. The most commonly used measure is a decline of 20%. A decline of 30% is also a cyclical bear, though somewhat deeper. Declines in the area of 40-50% are quite rare indeed, although we experienced two of them in the decade following the year 2000. The only other time two such declines occurred within a single decade was during the 1930s. I’m sure many readers are old enough to have experienced both the 2000-2004 and 2007-2009 declines. Those of you now retired or nearing retirement will certainly never forget them. Most readers will live to experience a number of cyclical bears (20-30% declines) in the course of an investing lifetime. A good plan has to address these facts, letting you invest part of your reserve during modest declines while leaving cash to deploy in case a decline continues to the next threshold. Having that in mind, I propose the following simple and straightforward program. Market down 20%: Use 25% of available cash. Market down 30%: Use another 25%. Market down 40%: Use another 25%. Measure the degree of decline from the top. Do a quick calculation, and then just do it. If you just buy more of what you have, whether an index or individual stocks, you will find that you have added at a favorable cost. If the correction stops around 20%, once the market completes the round trip to the former top, instead of being back to your original value, your portfolio will be 2.5% higher. If the market goes down the full 50%? When the market completes the round trip to the prior high, you will be up about 17.6%. Plus any dividends, of course. In the United States the market has always returned to the former high and ultimately surpassed it. The longest period it took was the 25 years from 1929 to 1954, and the high rate of dividend yields in the deflationary 1930s meant that investors still did fairly well. The lesson investors should really take from the 1929 Crash is that it’s not a bad idea to hold some cash and bonds. The good thing about this kind of averaging is that you have a plan and it is mechanical. It will calm your nerves and get you to take the right action in a crisis. More important, it will help you avoid taking the wrong action. That being said, I believe there is a better approach for the more aggressive investor. The idea of “Buffett Rebalancing” came to me from studying what Buffett has done under the variety of market conditions over his long career. In the early days he simply got out pretty much entirely when the market seemed to him absurdly overpriced. He did this in May 1969 when he closed down his partnership and explained his reasons this way. He then watched the market collapse in stages into the middle 1970s. At that point he began to buy heavily and gave all who would listen a heads-up in this famous 1974 Forbes profile. Was Buffett then a market timer? It’s a bit of a gray area. He has made a few of the most amazingly accurate market calls ever. What’s important to remember is that his decisions in 1969 and 1974 were driven by valuation rather than by any system designed to catch market tops and bottoms. He sold when it made sense and bought when it made sense. It was the same at the 2000 and 2007 tops and at the 2008-9 bottom, for which he wrote this famous op-ed piece in the New York Times. You and I are probably not going call market tops and bottoms with Buffett’s precision. Buffett himself doesn’t quite do it that way any more. With funds to invest that have grown to exceed $100 billion, he now tends to find things to invest in on a modest scale even when overall market prices look rather high. One can’t help noticing, however, that large acquisitions – the form of investing he now prefers – have not happened in the last few years. It will be interesting to watch what he does if the present bear market continues after a pause. If you invest heavily in the early stages of a market decline, you have lost the bet, in a way. This can be avoided if you reserve enough cash to double down at the next level down, if the market continues to fall. That’s more or less what Buffett has done over the long term. He continuously puts money into stock purchases and acquisitions – more regularly now than he used to – but he still tries to go in much bigger when the market is down heavily. Recall his deals of 2008-2010. His frequent quote on his frame of mind at moments like this is that he feels like an oversexed man in a harem. Here’s an outline for a buying program which increases the amount invested at each successive level. Market down 10% or less: I generally sit tight. Market down 20%: Use 20% of your cash reserve. Statistically, a 20% decline is about what you get on a regular basis. Market down 30%: Use an additional 25% of your original cash amount. At this point, you will have deployed 45% of original cash available, over half of it near the bottom of a significant correction. Market down around 40%: Use an additional 30% of your original cash. At this point, you will have deployed 75% of original cash available, 30% of it at the low point of a major down move. Market down 50%: Use the last 25% of your original cash position and go “all-in – 100% invested.” This won’t happen very often. If the market continues to decline, turn off the TV and stop looking at brokerage statements. Tell yourself that you will look brilliant in the long run. If you’re nervous, buy canned goods and set up a cot in your basement. This is actually a rather conservative modification of the simple plan. You can massage the numbers as you see fit. The plan I carry in my head is a little fuzzy around the edges and is weighted more heavily toward trying to buy aggressively after major declines. Nevertheless I don’t allow myself to pass on buying at the 20% hurdle. This was the sort of “Buffett Rebalancing” rule that I applied on Christmas Eve when the market took one more tumble and reached the 20% threshold. What surprised me was that I ended up adding to an already very large position in Berkshire Hathaway (BRK.A)(BRK.B). Simply buy more of what you have. My portfolio is highly concentrated, and an advisor who put an investor as heavily into Berkshire Hathaway (BRK.A, BRK.B) as I already am would probably get sued. As much as I love it, I can’t buy more. I wrote these words in 2017. Ha! Famous last words! Buy exactly what you don’t have, in order to diversify. This is the only good way to diversify away from a high level of concentration. That was the “Buffett Rebalancing” trick used by Buffett himself when he bought Gen Re for its bond portfolio. He did the same thing in reducing the importance of his consumer staples stocks by buying industrials like BNSF and Lubrizol. On the night of December 23, I thought seriously about buying Abbvie (ABBV). Buy things you have wanted to buy at the right price. Back in 2017 I cited Alphabet (NASDAQ:GOOG) as a possibility if its valuation crept down toward a range reasonable for high-growth companies. Its PE has crept down a bit, and is closer to my fuzzy buy point. Two lines still have to cross where a cheaper PE intersects my limited ability to predict its future. With the market down 40-50%, I would look carefully at index funds. They currently don’t work for me because cap-weighted indexes are more concentrated in high-flyers than I am comfortable with, but if a correction squeezed market P/Es toward the center – reduced dispersion, as they say – I would look at an S&P index vehicle (NYSEARCA:SPY) or maybe the Vanguard total market index (VTI). Not yet, however. The market would need to be flat on its back. If stocks drop because of a massacre in bonds, a comparison with longer duration fixed income might suggest serious competition for stocks. I thought I would never say those words, but guess what? My first action, in early December, was exactly that. I wrote about it here and in my 2019 positioning piece. To my own astonishment, my first reaction to the market correction was to assemble something resembling a conventional bond portfolio. I did this between December 4 and December 10, buying CDs in a ladder of sorts stretching out to 5 years and Vanguard’s long term muni fund (VWLUX). An unexpected drop in yields across the entire Treasury yield curve persuaded me that the credit cycle might be turning. I decided to extend maturities and lock in present rates. I nevertheless chose vehicles that might do pretty well even if rates picked up again and the curve steepened moderately. I also chose vehicles which could be exited without too much inconvenience if the market fell far enough that I wanted to be 90% in stocks. That left one decision: which stock or stocks to buy on Christmas Eve. There was a certain inevitability about Berkshire despite the fact that my position was heavily overweight already. It’s the company and stock I know best, having owned a position of increasing size since the 1990s. I’ve kept up with Berkshire closely enough to produce three or four SA articles per year about some aspect of it. Berkshire is also internally diversified. You can’t worry about being overweight an index fund. Berkshire isn’t quite an index fund, but it’s diversified enough for my purposes. The parts of the market it doesn’t own are generally the parts of the market I don’t want to own either. The risk/reward of Berkshire is asymmetrical, with downside somewhat limited by its buyback policy, its cash position, and the conservative principles on which it is built. Its business value is somewhat hard to understand – you’ll know this if you have read SA writers who propose many different ways of valuing it. I believe I know enough to feel that it is significantly undervalued. Whitney Tilson’s method of estimating its value is probably the closest to mine. Summing it up, I feel that I know Berkshire better than I know any of the other nine companies in my portfolio. Some probably have more upside, but I feel less able to estimate their risk. My best estimate for Berkshire is that it will decline if the market continues to drop, but perhaps somewhat less than the market from this point on. When buying the first 20% drop, the appropriate thing is to make a conservative buy in something you really understand at a price you will feel good about even if the market heads down another step or two. For me that was Berkshire. I bought at 189. That’s a price I will be comfortable with as a long term buying point. At present, that Berkshire buy at 189 would look pretty good to a trader as Berkshire was up every day for the rest of the week and ended up more than 5% higher. Am I gloating? Not at all. Am I patting myself on the back? No to that too. That ten point bounce in Berk is actually pretty much meaningless. It could give it back in a week. If the December 24 smack-up proves to be the bottom of this downturn, it will have been a very lucky buy. The truth is that I have no way of knowing where this decline will stop. It remains firmly in the category of things that are impossible to know. The day after Christmas looked a bit like a relief rally to me. If I had to hazard a guess, I would say that the market needs to minimally gather itself and consolidate the snap-back gains and then have a follow through day within a day or two on very heavy volume. After that it could easily rally for a while and then test the lows on lower volume and momentum. It could just as easily turn around and head back down 30-40%. Who knows? Not me, certainly. I do give myself a modest pat on the back for one thing. I had a plan. I followed it. Disclosure: I am/we are long BRK.B, VWLUX. I wrote this article myself, and it expresses my own opinions. I am not receiving compensation for it (other than from Seeking Alpha). I have no business relationship with any company whose stock is mentioned in this article.